Americans tend to support the US government's involvement in world affairs, but there is an increasingly large partisan divide on the country's approach to global healthcare. The partisan divide regarding the US government’s approach to global healthcare has increased, according to a new survey from the Kaiser Family Foundation. As a whole, Americans tend to support US involvement in world affairs, with 65% in favor of the nation taking a major global role. Opinions vary, however, on extent to which the US should be involved and how, especially in terms of healthcare. 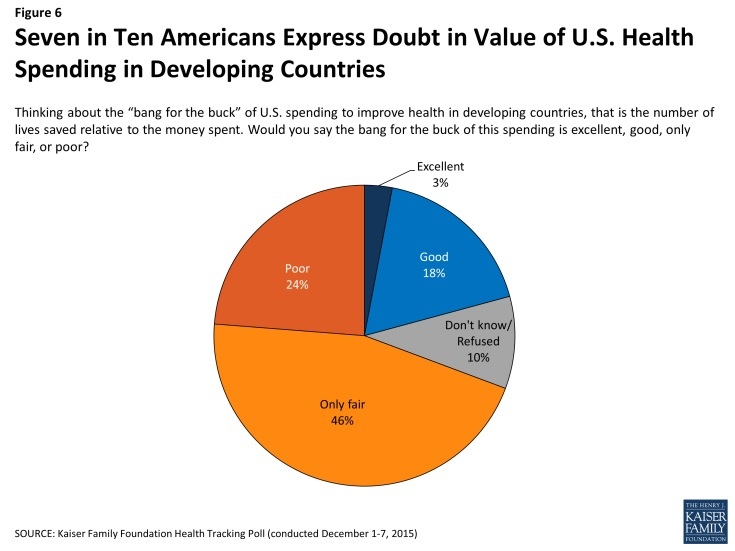 More than half (53%) of Americans believe that the US is doing enough to aid developing countries with their health, while 46% believe that the US is committing more than its “fair share” of aid. The majority of Republicans and independents (68% and 59%, respectively) say that the US is committing enough aid to developing countries’ health; the majority of Democrats, at 52%, say that the US is not doing enough. The difference in party opinions also extends to its leadership. Hart Research Associates and Public Opinion strategies polled various global health leaders and foreign policy leaders on their opinions of the US government’s involvement. They found that left-leaning leaders favored greater integration across initiatives and more organization among key stakeholders, stating that the US should be more active as a facilitator, organizer, and coordinator. However, right-leaning leaders did not focus on integration so much as advocating for cooperation among current and potential players. Regardless of what amount Americans said the government was spending on global health, roughly 70% considered US spending as ineffective and that the “number of lives saved relative to the amount of money spent” did not balance out. More than half (55%) said that spending more money would not lead to meaningful progress. Americans quoted various problems that they thought negatively impacted the usage of US aid, with corruption and misuse of funds named the top 2 issues. Larger numbers of Republicans than Democrats believed that meaningful progress would not be achieved with more spending. As it turns out, Americans tend to overestimate how much the government spends on foreign aid. Americans believe that the US spends an average of 31% of the federal budget on foreign aid; only 3% of Americans correctly stated that the US spends 1% or less. Americans were also divided on the reasons why the US government should help with global health issues. Only 9% said that it would improve the US image worldwide; 11% said it would create new markets for the US economy; 14% said it would protect nationwide health by preventing the spread of international disease; and another 14% said it would bolster diplomatic relations. However, most (46%), said that it was just the right thing to do.